At Bellevue, our Green Bay Assisted Living community, you’ll receive the care and service suited to your personal lifestyle so that you can live your life the way you always intended. 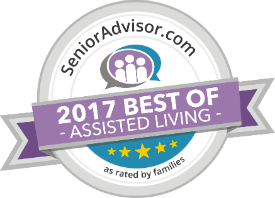 Offering Independent Living and Assisted Living in Green Bay, Bellevue allows you to embark on a life of gracious living that you may not have thought possible. The Bellevue community has a little something for everyone. Whether you like to get out and explore your local community, enjoy relaxing in the comfort of your home, or a little bit of both, we have virtually limitless options that will nurture your mind, body, and spirit. Residents enjoy choosing from a menu of locally sourced meals all made from scratch, housekeeping, our flat linen service, the therapeutic pool, the computer lab, and a host of daily activities and transportation services. Our award-winning program Brain Health University (BHU) is always popular for those residents who like to stretch their minds and socialize with friends, as are the plethora of life enrichment programs available. Our senior living community in Green Bay is just minutes away from shopping, clinics, restaurants, and all the great things that Green Bay has to offer. Bellevue offers country living with big city attractions. Our Green Bay assisted living community offers residents and residents’ families valuable peace of mind knowing that a certified nurse is on staff 24 hours a day. Bellevue is proud to have a Medical Director on our team and medical partners to provide on-site lab services and chiropractic care. We also have a podiatry clinic and a therapy clinic on site. Unlike other communities, we don’t insist that our residents put down large up-front payments to join our community. We care equally about our residents’ financial, emotional and physical health. That’s why we offer our residents all the perks of community living without all the expenses. Our community offers 174 apartment homes with different floor plan options and a number of amenities described below. Explore nearby cities like Allouez. Mary has been working in Skilled, Assisted & Independent senior living for over 25 years. Her favorite part about her role as Executive Director of Bellevue has been getting to know Bellevue community members. Mary says it’s the people who make Bellevue special. For fun, Mary enjoys gardening herbs and vegetables, yoga, and going for long walks. Mary is excited for you to experience Bellevue for yourself! The most sought after honor at Senior Lifestyle is the annual Heart of Caring Award. The Heart of Caring Award is reserved for an outstanding individual who best brings the Senior Lifestyle Mission, Core Values and Service Culture to life daily within their communities. We are proud and honored to recognize the Heart of Caring Winner from Bellevue and deeply thank all of these special individuals for making a difference in the lives of our residents, bringing peace of mind to the families, and serving as role models for their peers.